The S&P 500 rebounded 1.8% during November after October's ugly 6.9% drop. The rise in the markets helped to boost my net worth along with the dividends and savings throughout the month. 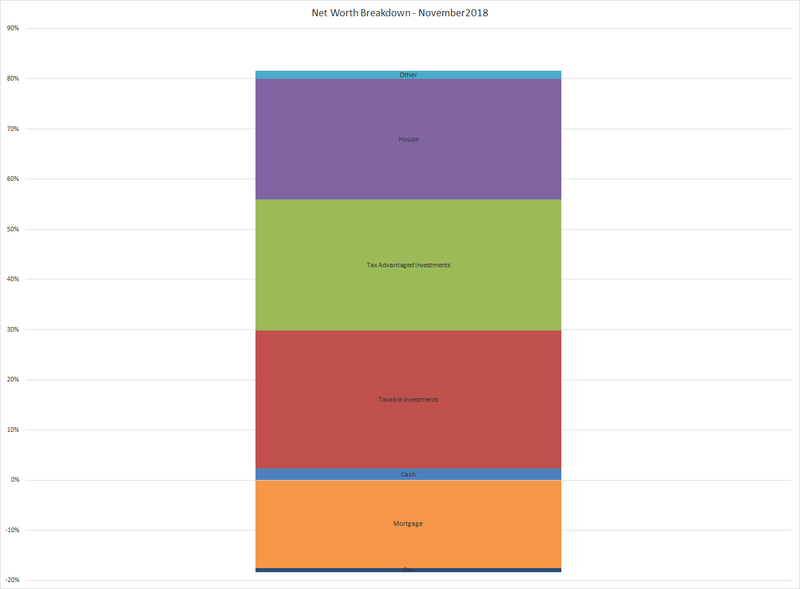 During November my net worth increased $8,547.43. November's rebound in the markets, coupled with savings from my day job and dividends helped to boost my net worth by 1.5% for the month and YTD it's increased 7.8%. Our main financial target for 2018 is to pay down our non-mortgage debt. There's a variety of things that just kind of came up as life happened. Some medical debt, a vehicle, an unexpected new air conditioning for the house. Nothing out of the ordinary, but burdensome nonetheless. The air conditioning is gone already; however, we've since changed our priority to stock piling cash now that we're expecting another child. 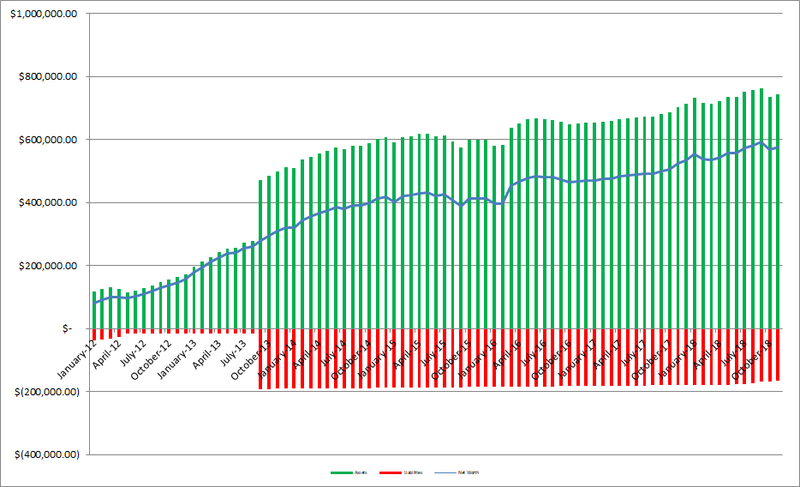 As of the end of November we have 27.1% equity in our house based on our purchase price from 2013. However, according to Zillow our house has increased in value around $29.6k from our purchase price which is a nice bonus, although I keep the purchase price as the value in the net worth equations. Based on Zillow's estimate the equity in our house jumps to 35.8%. Since I write so much (or at least try to) about investigating companies as an investment I figured it'd be fun to see how our balance sheet looks. 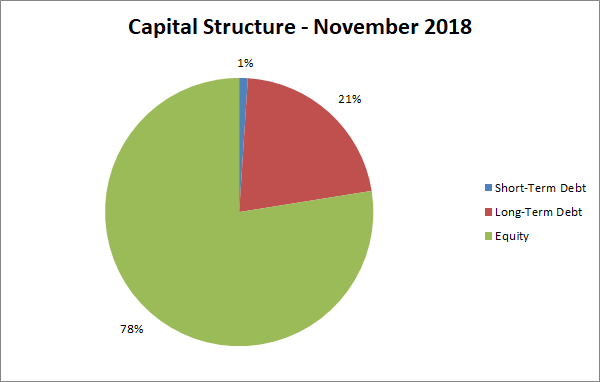 As of the end of November our debt to equity ratio is 29% and our debt to total capitalization is 22%. Not bad, but I can't wait to get that debt down to ZERO! 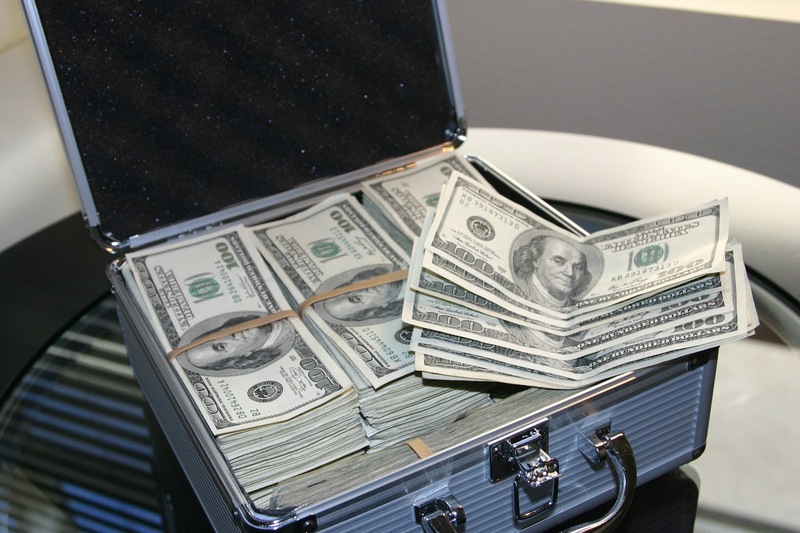 Did your net worth rebound along with the markets during November?